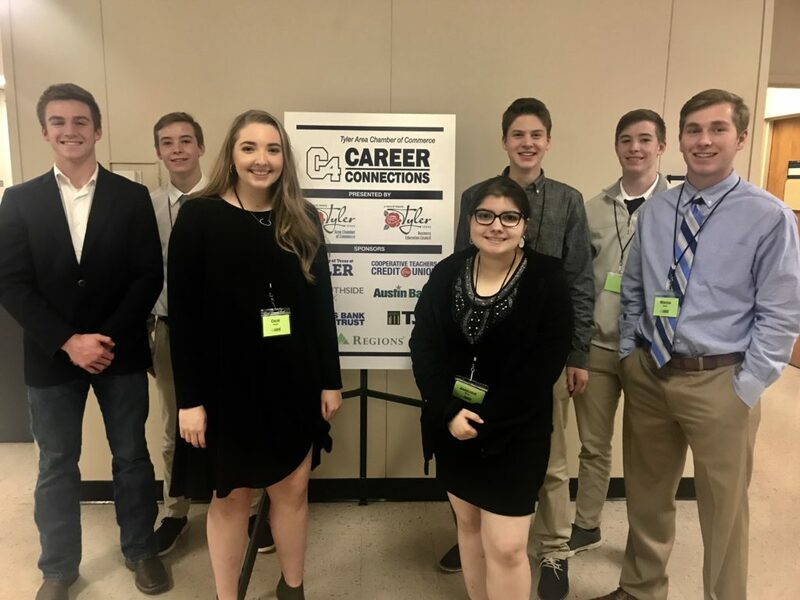 The Chamber of Commerce Career Connections (C4) was a one day, Tyler Chamber sponsored program, which linked students and real-world workplace experiences. The goal was to provide Smith County students with the opportunity to begin career exploration during their final high school years by connecting them to over 60 local, premier, business professionals. C4 was a relaxed discussion format, which allowed these professionals to spark student conversation by sharing work experiences, successful moments, challenges and personal backgrounds. The sessions were interactive and allowed students to ask questions and share concerns. Students experienced a hands-on interviewing and resume review with human resource professionals. Students also benefited from the expertise of local finance professionals and learned simple and basic ways to manage their money. Brook Hill is proud of the seven juniors who applied and were chosen to attend: Angel Basile, Daniel Gragg, Andrew Gragg, Ben Funk, Winston Hebert, Chloe Martin and Cole Fitzgerald.